A website blog can be a powerful thing. Not only does it give you more opportunities to rank online for crucial keywords and phrases, but your blog also allows you to deliver value to your audience, so you can earn their trust and loyalty over time. With the right blog, you can convert visitors into readers, and readers into clients. However, while almost any business can create a blog, it's not enough to simply publish something on your website once a week and assume that you're done. 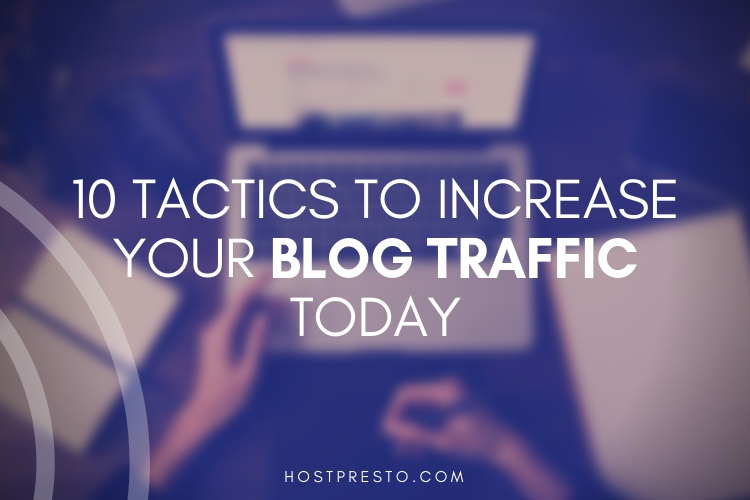 It takes a solid strategy to make sure that you're sending plenty of useful traffic to your blog. Here are some of the best ways that you can get the most out of your blog. 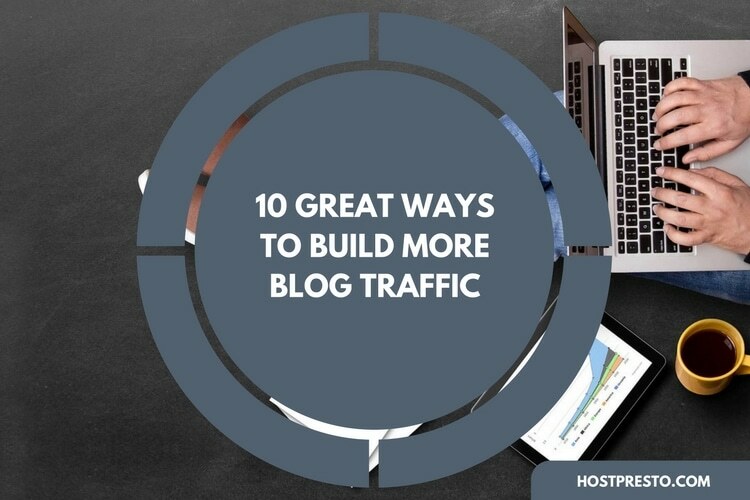 The best blogs aren't the ones that try to appeal to everyone at once. Instead, if you want to build your way to blog fame and fortune, you need to understand the personas of the people that you want to attract to your business. 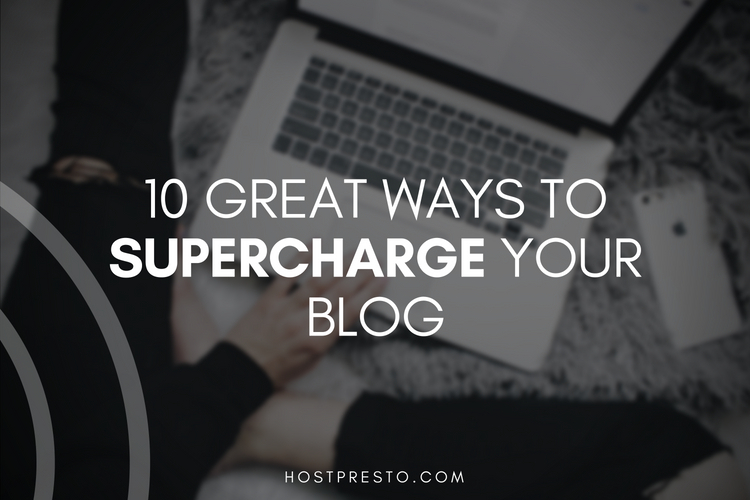 Think about who is already reading your blog, and who you'd like to engage with in the future. The more you know about your customers, the more you can start to create posts that answer their questions and respond to their pain points. If your audience knows that they can rely on you for valuable content, then they're more likely to trust that you can deliver great services and products too! While you should focus on building content that's designed for people, rather than just looking at the search engine algorithms, that doesn't mean that your blog posts shouldn't be SEO friendly. Make sure that everything you produce is credible, practical, and valuable. You'll also need to devote some time and effort to researching keywords that could be valuable for your business too. Ideally, you'll want keywords that have a high amount of search volume, and a low level of competition. If you want to expand the reach of your blog, and you're not ranking well just yet, you could consider commenting on other blog posts from across the internet, with insightful information and guidance that links back to your own blog. Make sure that when you're doing this, you only choose relevant blogs to post on, and you fill your comment with information that makes you seem more appealing, rather than simply spamming blog posts. Ideally, you should focus on making at least some of your content "Evergreen". This means that the pieces you produce should be able to live for months, or even years on the web without becoming irrelevant. For instance, while a post about the latest Oscar nominations might be interesting for a short amount of time, a blog about the world's best movies will stay relevant for much longer. People won't know about your blog and the content you produce unless you engage in the "marketing" aspect of content marketing. Make sure that you research influencers in your network and follow them so that you can ask them to potentially give your work a shout-out at a later date. You might be surprised just how many people are willing to help you promote your blog. 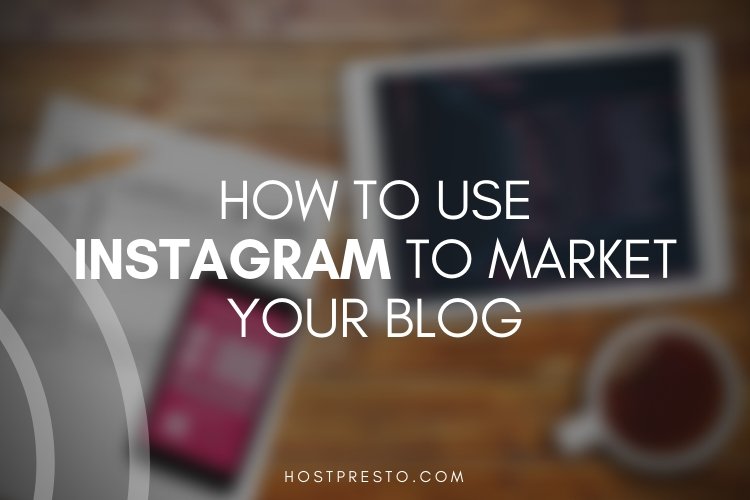 At the same time, consider using guest posts to increase your reach too! After some time blogging, you'll begin to realise that some of your content performs particularly well. Make a list of the blogs that get the most interaction from your readers, and look for ways that you might be able to repurpose those articles into different types of content, such as videos, infographics, or eBooks that your readers can download if they agree to subscribe to your newsletter. One of the most important things you can do as a blogger or content marketer is learn how to create irresistible headlines that your customers can't help but click on. After all, while your content might be amazing, it's the headline that convinces people to click on your site and read what you have to offer. Make sure that you think carefully about how you can engage your customers with your headline, and don't be afraid to experiment too. A little bit of A/B testing on your most valuable content could give you some powerful insights into the types of headlines that appeal most to your target reader. Today, social media has emerged as one of the most powerful tools for any marketer. If you want to improve traffic to your blog, or website, then one of the best things that you can do is learn how to expand your presence on social media. Find out which platforms your ideal audience spends most of their time on, then think about how you can build up your following by sharing insights into your latest posts at the right times. Speed is one of the most important factors for any webmaster to think about when they're trying to build a successful blog. If your page doesn't load fast enough, then your visitors are just going to hit the back button and move onto the next listing to find the answers they need. That means that a lack of speed could send your customers running into the arms of your competitors. The good news is that you can use Google Page Speed Insights tools to check out your speed score and get a few tips on how to improve your performance. Finally, if you want a really great blog, then you need to know how to engage your customers as much as possible. A good way to do this is to create interactive content, such as contests and questionnaires that push people in your audience to respond to the ideas and messages you want to share. Ask your audience to comment on your blog posts, or get involved on social media, and award them for their engagement with prizes and exciting competitions.